Did you know that the average American family spends around $300 to $700 per month on groceries for their family?! That is a lot of money! If you’re living on a budget, buying groceries can be stressful! 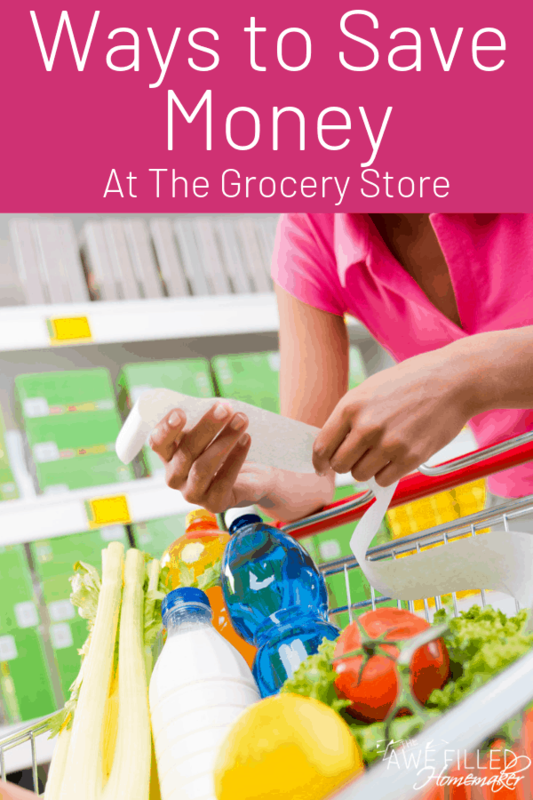 When you head out to the grocery store, make sure to follow these ways to save money. By learning these tips, you might find it helps reduce your monthly spending! Speaking from personal experience, it is easy to walk into a store for a few items and come out with your wallet bone dry! We have to eat to survive, but there are smarter, more strategic ways we can reduce our spending on groceries. When you combine all of these tips together, you might find you are reducing your spending dramatically. Don’t be afraid to try store brands on items, which can save you up to 25%! Make sure that even if there is a sale on a name brand item, you still look at the price on the store brand item. It might be cheaper than the sale. Although you may not usually choose a store brand item over a name brand item, I can you from experience that I haven’t noticed a difference in taste in many of the store brand items I’ve bought over the years. Grocery stores are strategic on their product placement. If you need bread or milk, these two items are on opposite ends and usually placed in the very back of the store. Therefore, you’ll be forced to walk through certain aisles and possibly be enticed to purchase other items along the way. Try to avoid walking down the middle aisles of the store and stick to buying just what you need for those quick trips in. In other words, shop like my husband. LOL! Don’t be afraid to shop at multiple stores to maximize your savings. Some stores will price match and that will help save on both time and money. If your stores don’t price match, just look at circulars for your stores to find what items are cheapest. Also, look at the dollar store to purchase your cleaning supplies. Often, you can find those products cheaper. Try to remember prices on items you buy, or even write them down to remember. Look in your pantry and cupboard once a month to make a list of what items you already have. By doing this you won’t impulse buy on items that could be full price and you think you are out. Instead, you’ll be able to stick to the the items you need and stock up on sales items you use. Plan your meals around your store’s deals. Buy the meats and side items that are on sale so you aren’t spending a ton on one meal. Buy fruits and veggies that are on sale for the week and the same goes for meats. You can create healthy meals that don’t cost near as much if you were to buy at full price. Try to shop once a week or every two weeks. Have you ever went to the store and walked out with 1 bag and spent $50? Those quick trips can break the bank. Plan meals and makes lists of snack items a week in advance so you’re not required to return until the following week. People see these sales and stock up, but they aren’t always great buys. Sometimes a different brand could be $0.90 and you just paid $1 for it. Make sure to look around at all the brands to know if it really is worth it. For example, when Gatorade goes on sale 10 for $10, I don’t purchase because they are always that price. When they are $0.69 for 10 I stock up. Just learn your store’s prices and you will learn when a deal is good! Buying fresh produce is wonderful but it can be very pricey. Consider buying frozen when you can. Use fruits in smoothies, cakes, and cobblers. Use vegetables in casseroles and even as side dishes. Take advantage of rain checks. Most stores offer these golden slips of paper. If there is a great sale on the pasta sauce you use, but they’re currently sold out, ask for a raincheck. When it is stocked again you can score your sauce at that same low price! Apps for your smartphone like Ibotta, Checkout51, and SavingStar offer cash back. When you buy select items on their list from participating stores you earn cash back. I purchased a gallon of milk and earned $0.25 by scanning the UPC on milk and snapping a picture of my receipt. Then cash in for gift cards, PayPal credit and more. Sign up for your store’s loyalty program! Kroger stores offer discounts on groceries each week when you are signed up for their loyalty program. You also get money off gas when you use one of their gas stations. It is based off how much money you spend in the month. Many stores offer incentives if you join their program as well! Before I get go…lets talk social media. 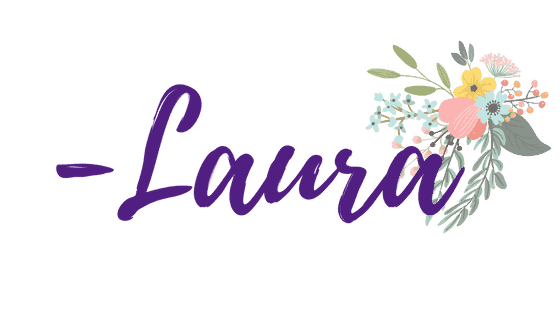 I would LOVE LOVE LOVE it if you would follow me on my social channels and subscribe to my blog! I won’t spam you to death- I promise! Also….I have an air fryer group too! So don’t miss that!